Stealing molehills for my boat garden. 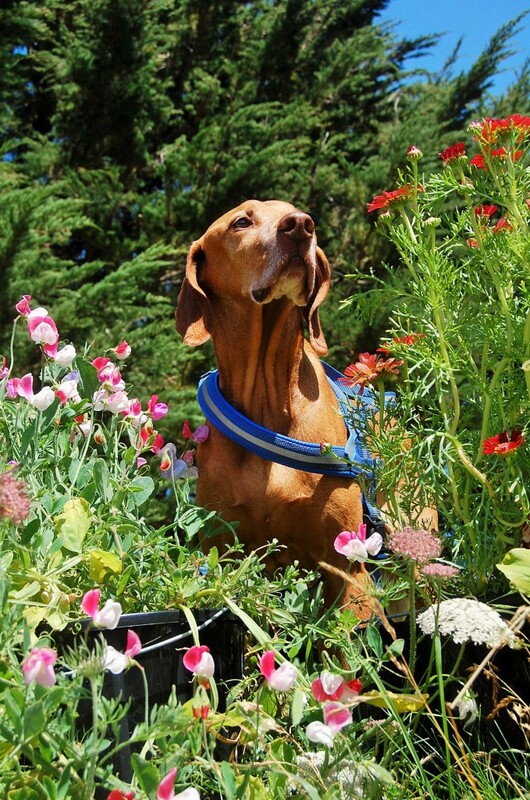 Many of you may know that I have left my cutting garden in Cornwall to come on a three-year adventure on the rivers and canals with my dog, Flash. 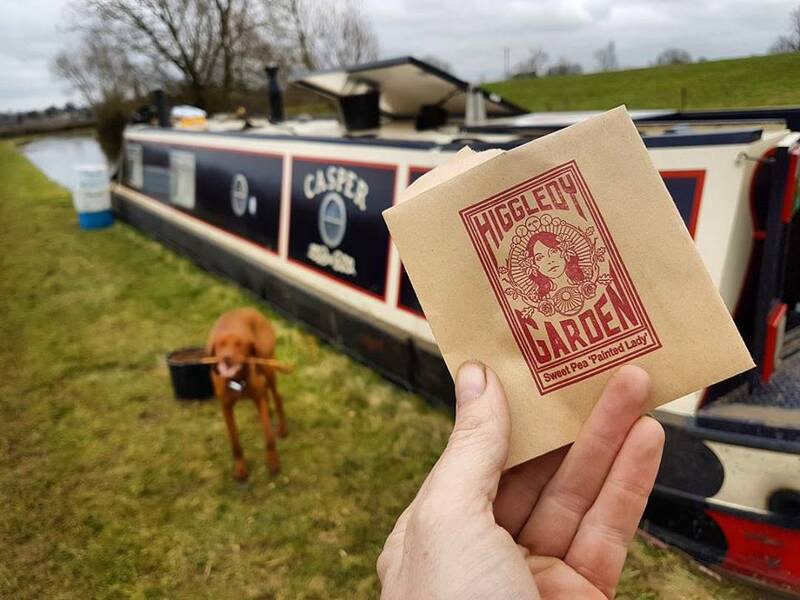 I can’t manage without a cutting garden however so I am attempting (a daring attempt at that) to create a modest cutting patch on my narrowboat, Casper. 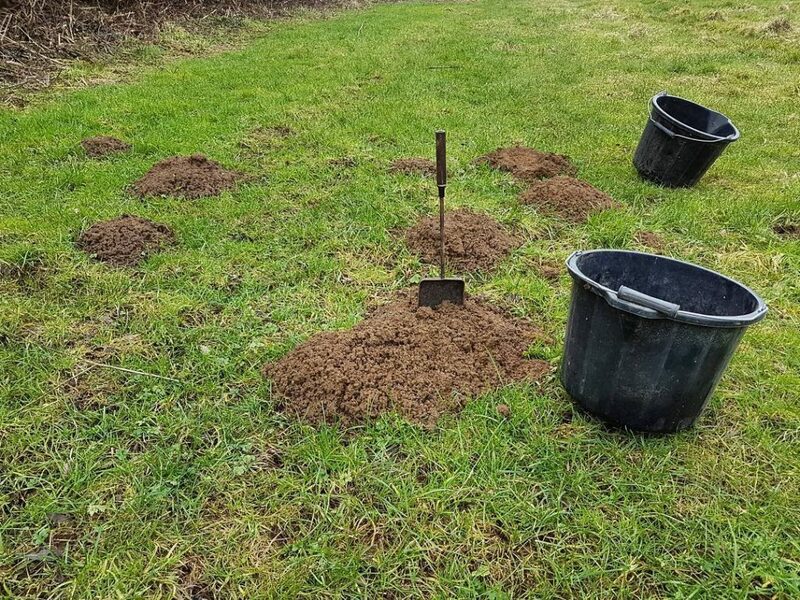 One problem I am having is that I can’t get my paws on any compost…I have ditched my car and so need to find a garden centre right by the canal….I’m sure one will turn up but for the moment I am stealing soil from the moles. This isn’t ideal either for me or the moles but in the interests of getting on with the job in hand it will have to do. Sweet peas will probably make up the bulk of the garden as I can trail them and they won’t be as susceptible to wind damage as other flowers. 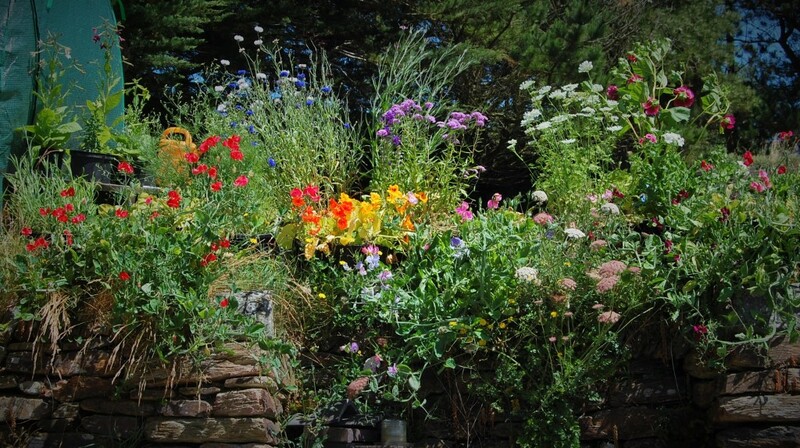 All in all I think I will go for about a dozen buckets and see how we get along….maybe a few more if I get flower greedy….which I will of course. This was back in 2015…with the late and great Furface. Painted Lady is the pink and white sweet pea. Growing a cutting garden on the boat is not going to be easy but I think I’ve got a fighting chance. I will, of course, keep you posted. I won’t be sowing any other annuals until the equinox at the earliest…and probably not until April. I find very little advantage is sowing early. You can sow sweet peas right through until May, so don’t fret if you haven’t sown any yet. 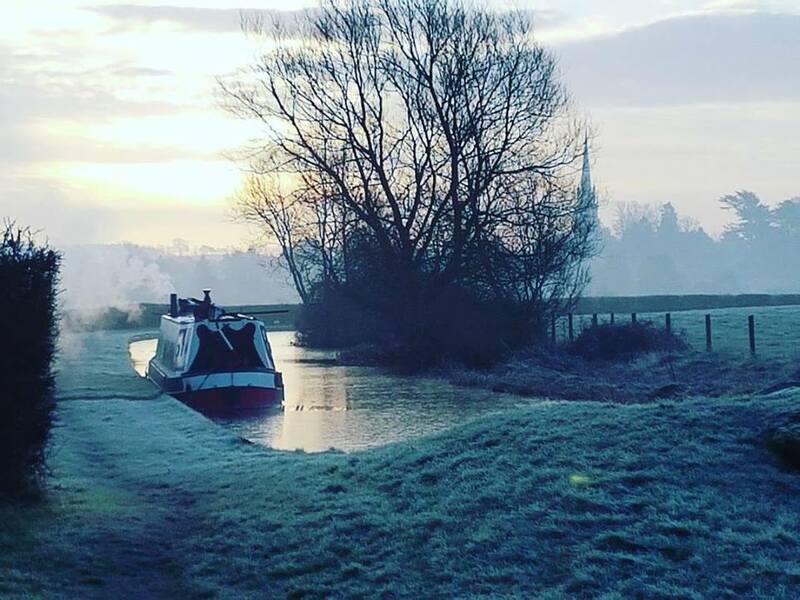 We are presently on The Oxford Canal….gawd only knows where we’ll be when these start flowering. Other Sweet Peas we will be growing will be ‘Charlies Angel’ & ‘Mammoth’…among others. 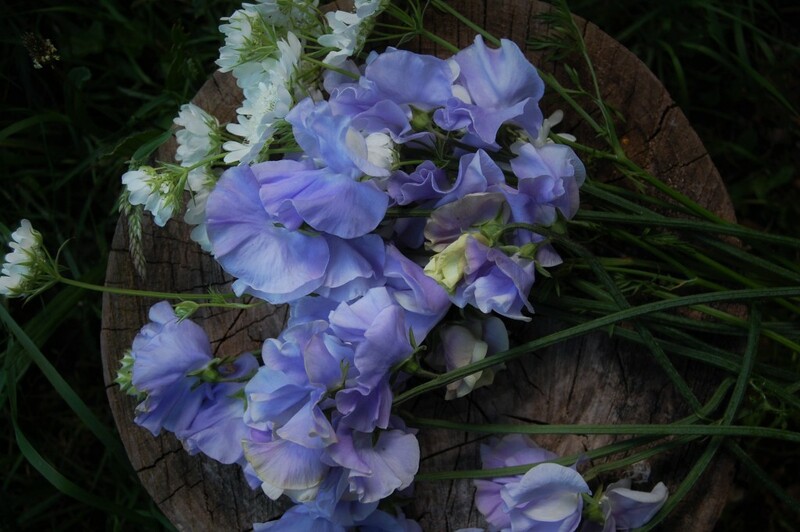 Sweet Pea ‘Charlies’…grown in buckets…here getting cosy with some Orlaya. If you have any questions then please ask away…you can find me on Twitter or Facebook. …you can also find us loitering on Instagram. Annual Flowers For Cutting: Ammi majus & Ammi visnaga. The Boat Garden. Update. 25th March 2018.